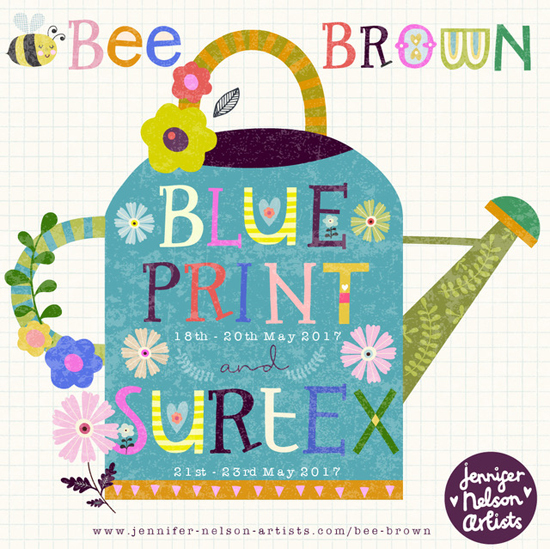 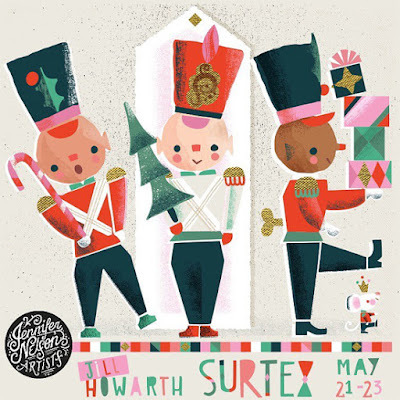 P&P is back after the bank holiday with more fab flyers for the upcoming Surtex and Blueprint shows in New Yrok. 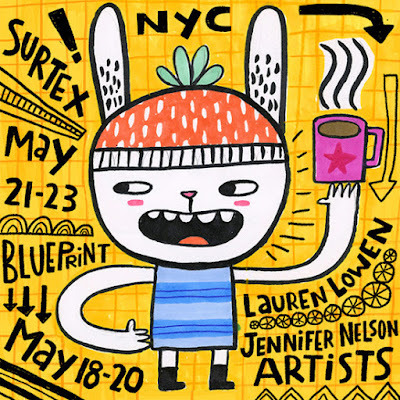 Today we begin with the amazing Jennifer Nelson Artists a top drawer selection of design talent. 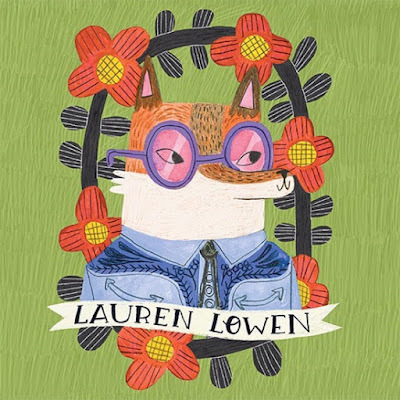 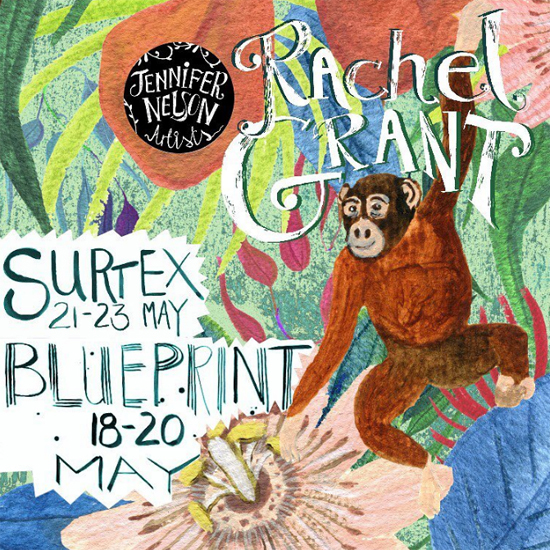 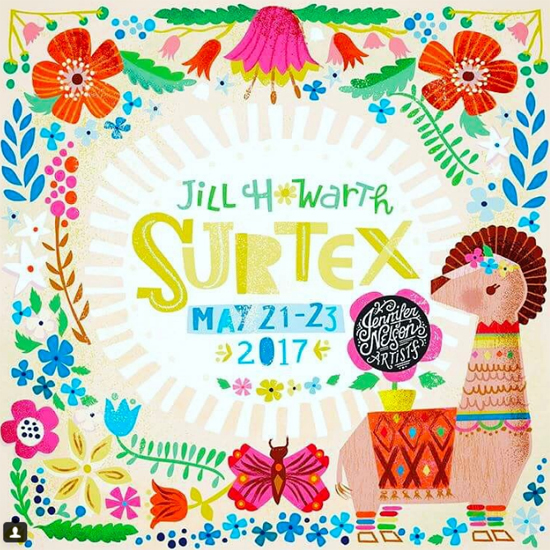 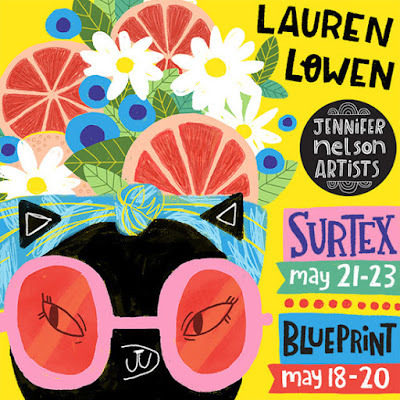 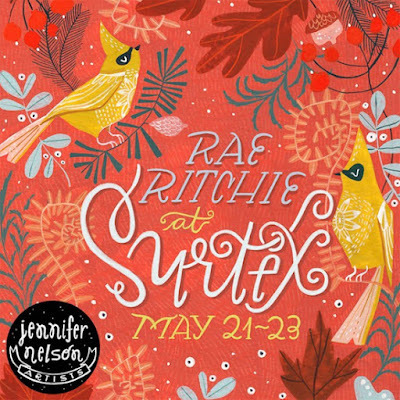 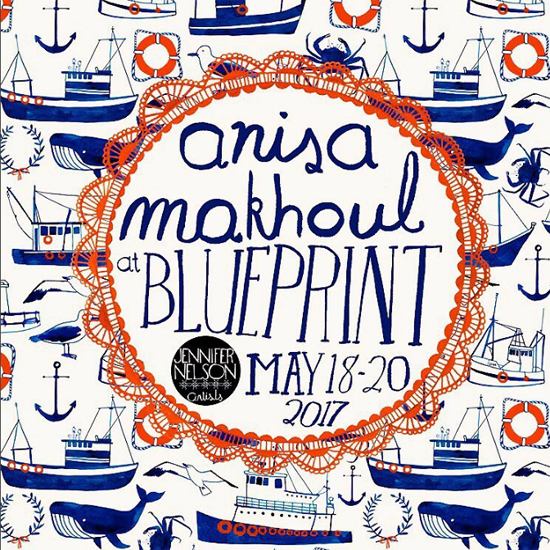 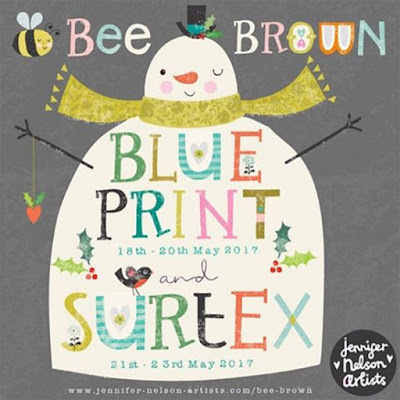 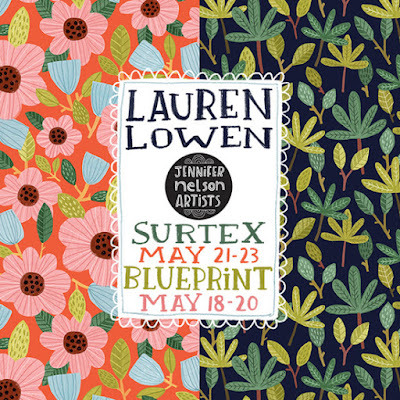 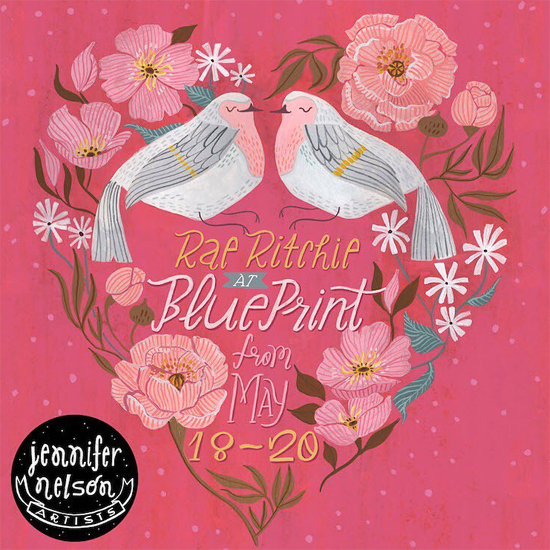 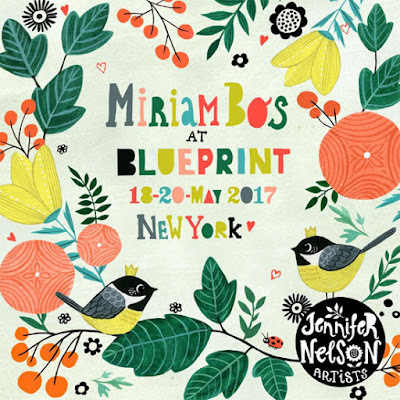 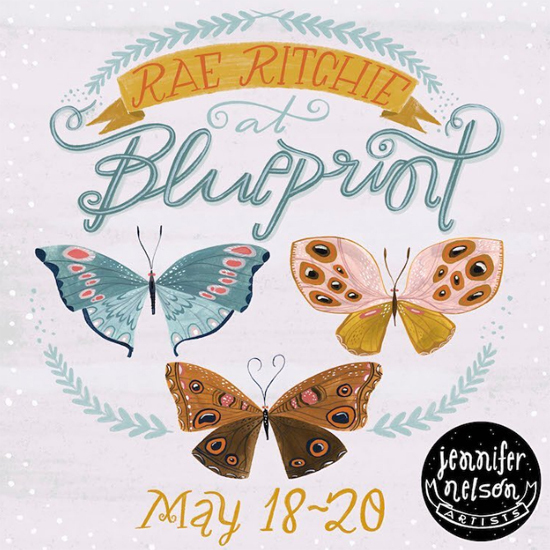 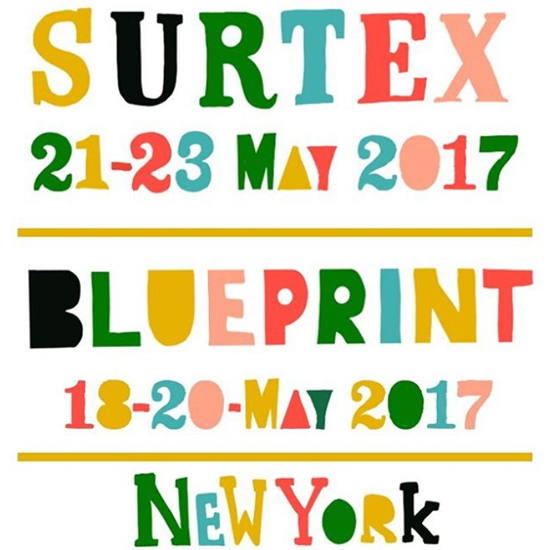 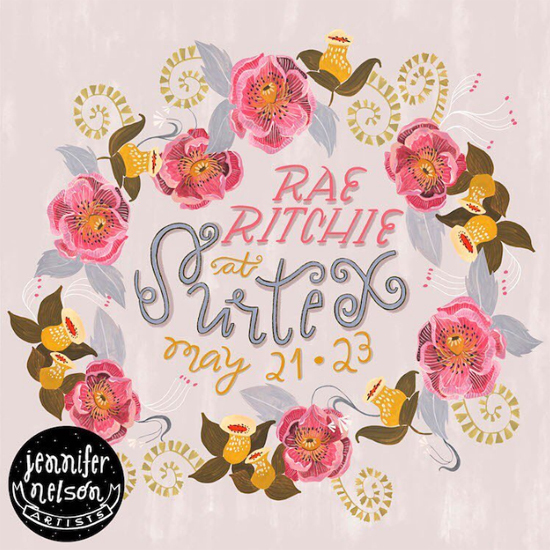 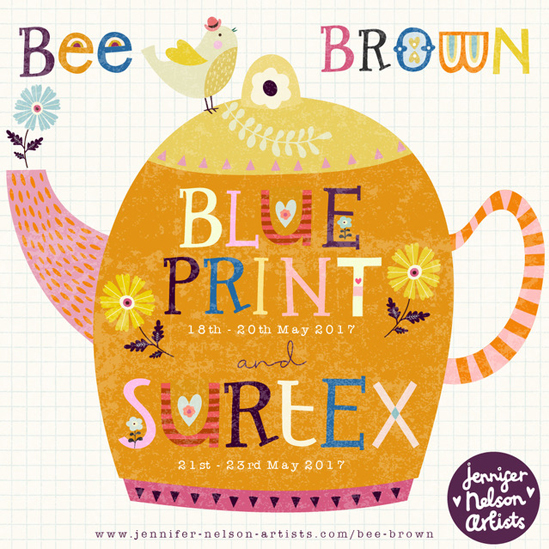 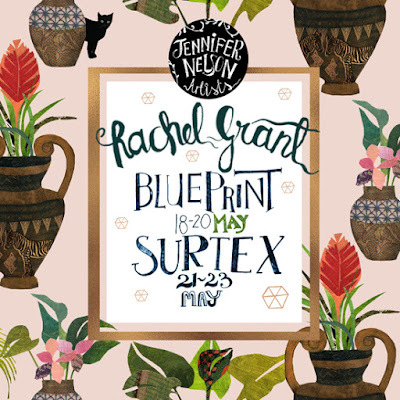 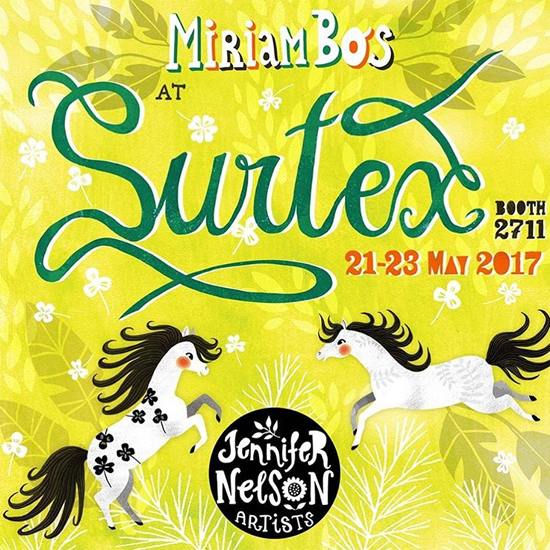 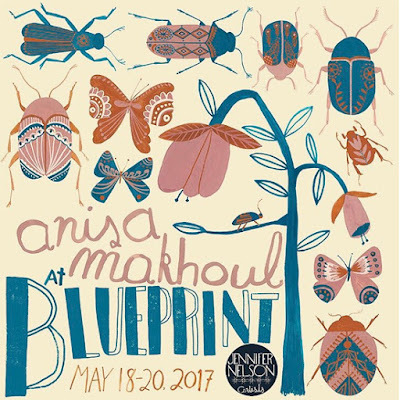 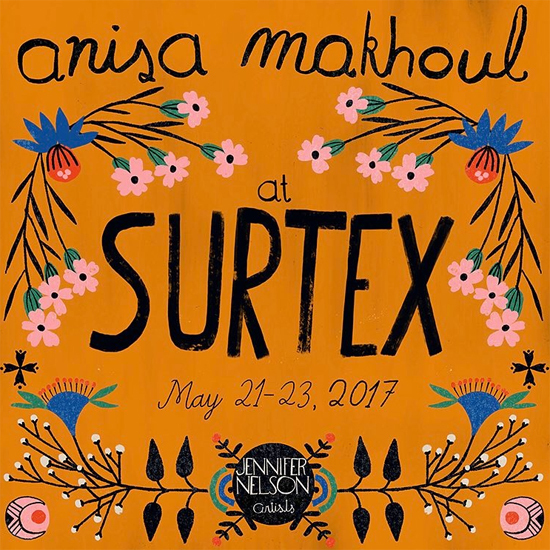 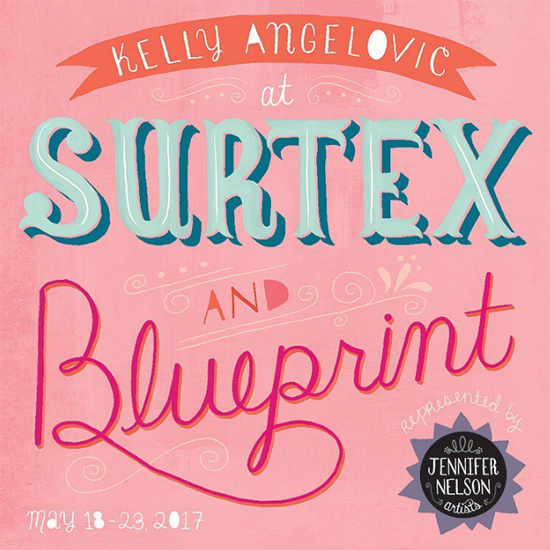 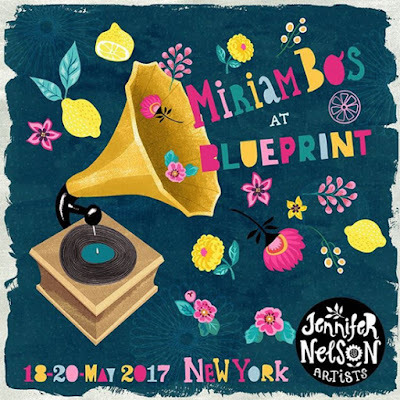 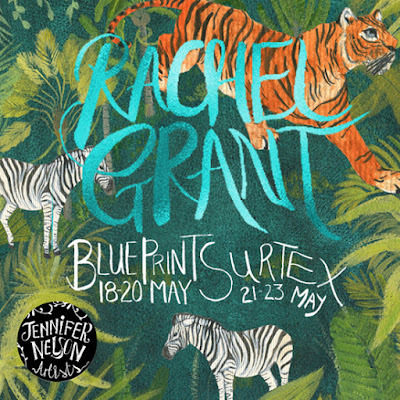 Jennifer will be at both Surtex and Blueprint representing artists Anisa Makhoul, Bee Brown, Jennifer Orkin Lewis, Jill Howarth, Kelly Angelovic, Lauren Lowen, Miriam Bos, Rachel Grant and Rae Ritchie. 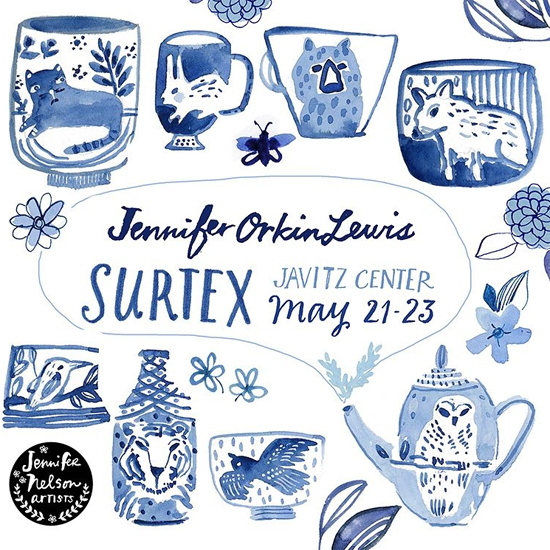 Scroll down to see flyers showcasing new designs from all of Jennifer's artists and get in touch via their website here.